At Kattner Orthodontics, we proudly provide patients of all ages living in the Waukegan, Gurnee, Zion and Beach Park, IL area with excellent orthodontic care. Whether you’re looking for a Gurnee orthodontist for your child or wonder if you’re a good candidate for Invisalign, we can provide every member of your family with the orthodontic treatment you need. Regardless of your age or orthodontic needs, Dr. Kattner and his amazing staff are committed to helping you achieve the healthy and beautiful smile you deserve! Although patients of any age can undergo orthodontic treatment, wearing braces is often considered a part of growing up for many teenagers. During adolescence, kids are going through many changes, like growing in stature, having more interest in fashion and music, and developing an increasing degree of self-awareness. But is there any particular reason why so many teens are seen wearing braces? In one word: Yes. While every teenager is unique, generally, all the primary teeth are lost and the permanent teeth have emerged from the gums between the ages of 11 and 13. 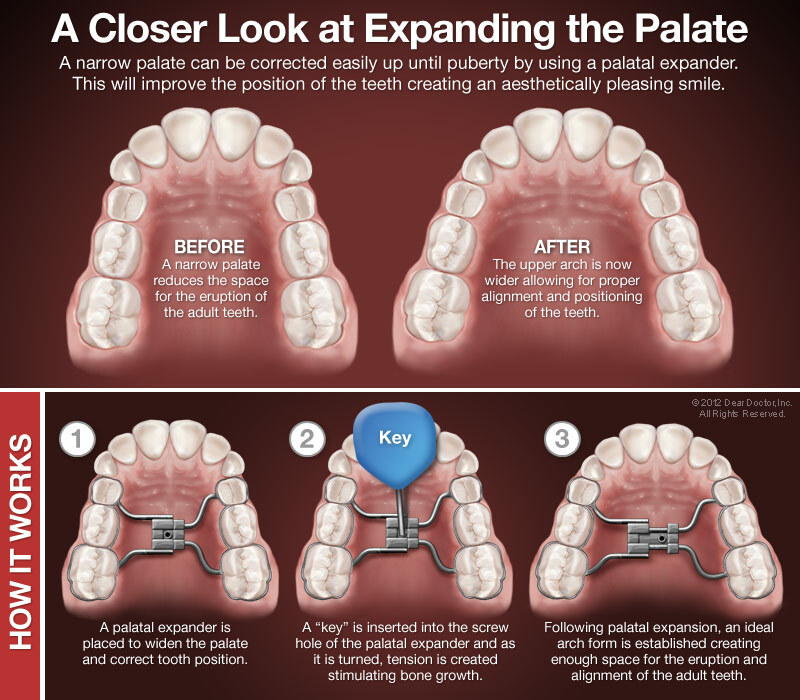 This is when Dr. Kattner can begin treatment to correct orthodontic problems. It is often far easier, less involved, and less expensive to treat many orthodontic problems during adolescence rather than waiting until later in life. This is mainly due to the fact that an adolescent is still developing and growing, which makes it easier for our orthodontist to make necessary changes to correct misaligned teeth or jaws. Whether we use standard braces for your teen’s orthodontic treatment, or appliances like palatal expanders, we can create a smile with an improved appearance and function in a short period of time. There is also a social advantage to undergoing treatment during the adolescent years. Since it’s very common to see teens with braces on their teeth, those teenagers just starting treatment feel as though they fit right in with their peers, which is something that’s very important to young people. 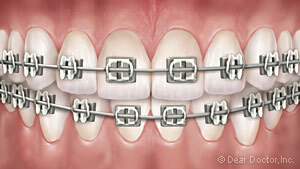 Metal Braces - These are the most common types of braces made of stainless steel. 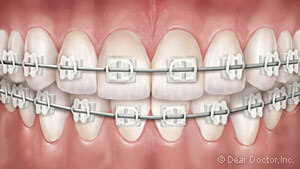 Today’s metal braces are more attractive, smaller, and more comfortable than the metal braces used years ago. These braces can even be personalized by choosing different colors for the elastic ties on the brackets, which is an option our teenage patients love. Clear Braces - These braces are similar to metal braces except the brackets are made of a translucent material which makes them very discreet. Clear braces are ideal for teens who don’t want to wear the more traditional style of metal braces. Invisalign Teen - This is a innovative orthodontic treatment option made just for teenagers. 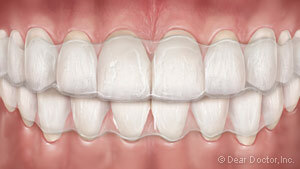 It consists of a series of clear, removable aligners that fit snugly over the teeth. The aligners are designed to be removed when eating and when brushing and flossing teeth. Patients using Invisalign Teen love the fact that they don’t have to restrict their diet to prevent damage to their orthodontic appliances. It is also very easy for teens to maintain good oral hygiene when they’re wearing Invisalign Teen as they simply take the aligners out when brushing and flossing their teeth. If your teenager is ready to enjoy all the benefits that come with having a healthy and beautiful smile, request an appointment with us today. If you have any questions about adolescent treatment or about our Gurnee-area practice in general, please feel free to contact us. We look forward to welcoming you and your teen to Kattner Orthodontics where we’re passionate about providing our patients with incredible smiles!